Health Benefits of Tea - Does Milk Inhibit Tea's Beneficial Properties? Plenty of studies have suggested that tea is a boon for cardiovascular health, but new research has found that adding milk to your favorite brew negates these health benefits of tea. "There are a lot of studies that show that tea is protective against cardiac diseases," said lead researcher Dr. Verena Stangl, professor of cardiology at the Charite Hospital, Universitatsmedizin-Berlin, in Germany. "If you look at the studies, you see that in Asia there are less cardiac diseases, but in England that's not the case. So the question is, is the addition of milk a reason for this difference between Asia and England, where tea is often taken with milk?" she said. In the study, 16 healthy postmenopausal women drank either half a liter of freshly brewed black tea, black tea with 10 percent skimmed milk, or boiled water on three different occasions under similar conditions. The researchers then measured the function of the cells lining the brachial artery in the forearm, using high resolution ultrasound before and two hours after tea consumption. Stangl's team found that black tea significantly improved the ability of the arteries to relax and expand. "But when we added milk, we found the biological effect of tea was completely abolished," she said. Additional experiments on rat aortas and rat endothelial cells -- which line blood vessels -- found that tea relaxed the vessels. But adding milk blunted the effect. "If you want to drink tea for its health effects, don't drink it with milk," Stangl said. Stangl noted that not only does milk block tea's benefits for blood vessels, it also destroys the antioxidant effects of tea and perhaps its cancer-protective effects as well. She said her team is also comparing the effects of green and black tea on the function of blood vessels. "It's a question whether green tea, with its higher catechin content, is better than black tea in regard to endothelial function," she said. One expert agreed that you should hold the milk if you are interested in the health benefits of tea. "This is actually something we tell patients to do -- not to have milk in tea," said Dr. Robert Vogel, a professor of medicine at the University of Maryland Medical School. Tea is one of the greatest sources of antioxidants, Vogel said. "In countries where they drink a lot of tea, heart disease is decreased, except for the British Isles. It is typical in Great Britain to add milk." 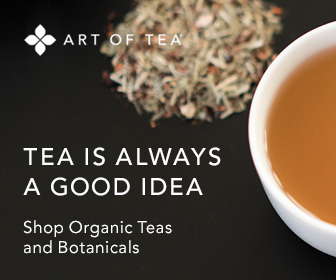 To derive the greatest health benefits from tea, Vogel's advice is simple. "Add lemon not milk. You should not add milk or cream to tea – it's a very good drink, but not with milk," he said. This article on milk and tea was sourced from the January 8, 2007 edition of HealthDay News.